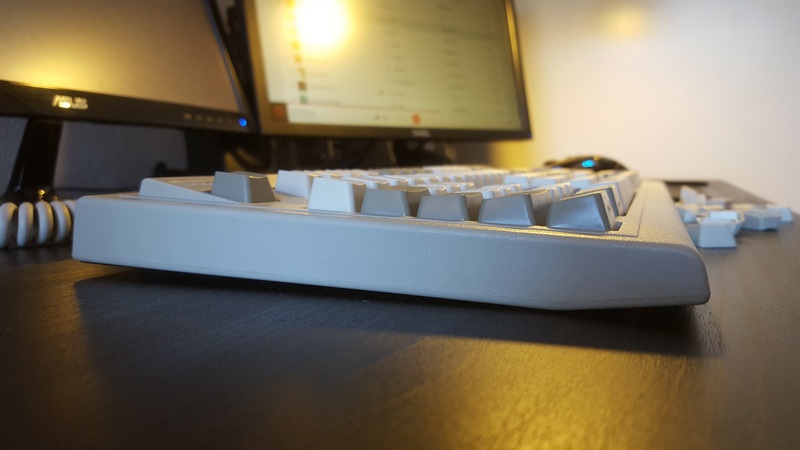 There isn't too much discussion about the T9102 especially versus contemporary Blue Alps keyboards like the DC-3014. Only a couple of people have these. I love this keyboard, it has everything a person would want in a mechanical keyboard. Blue Alps, ANSI layout, doubleshot caps and a metal backplate with a great build quality to boot. 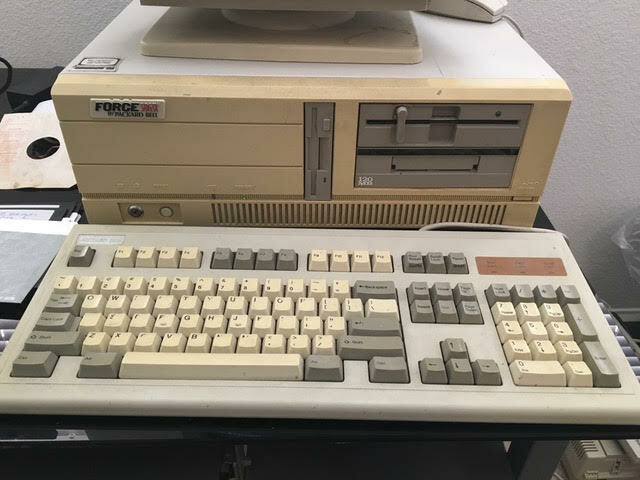 I found it on craigslist, it was still bundled with its original computer system. I convinced the guy to sell me it to me separated and he shipped it to me a couple hours south. It had some surface grime, but besides that it was in fantastic condition. Cleaned up super well. This keyboard fit's late into the Blue Alps timeline. It has top logos and short white switchplates unlike most. Sit's very flat without the feet, and very tall with them. You can see where they shaped the case just for them at the bottom. 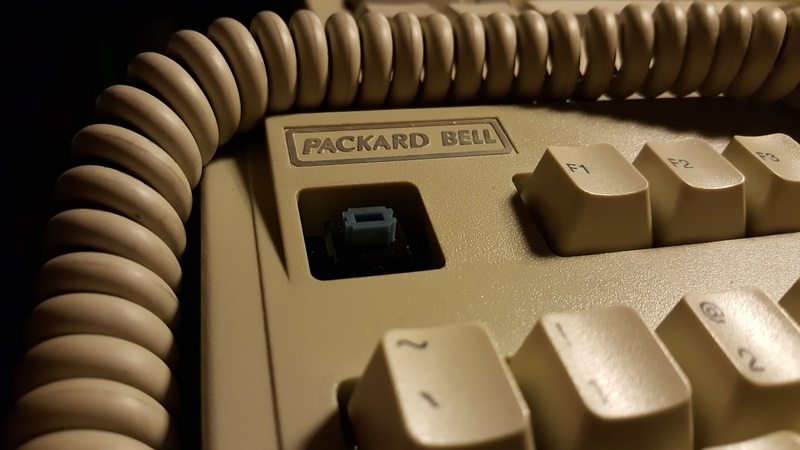 You know, I never knew Packard Bell made an ALPS keyboard (blue ALPS nonetheless); usually it's always the later rubber dome multimedia ones that are talked of. 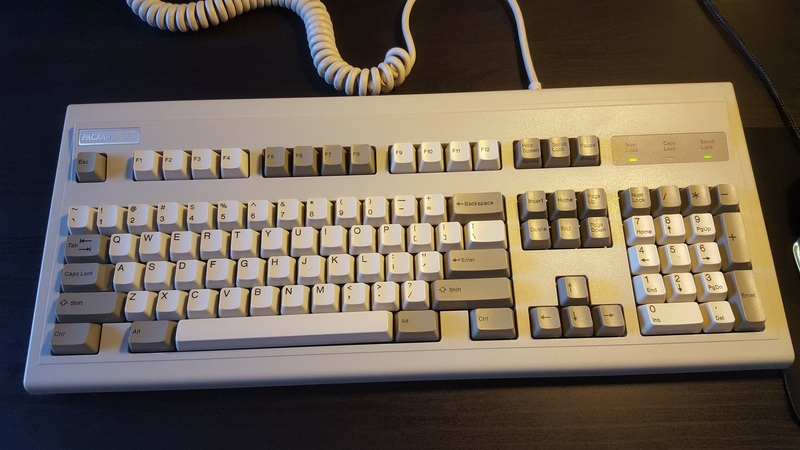 And it's as you say, a no nonsense layout mimicking the Model M.
micrex22 wrote: ↑ You know, I never knew Packard Bell made an ALPS keyboard (blue ALPS nonetheless); usually it's always the later rubber dome multimedia ones that are talked of. Yea, it's a amazing combo There is a SKCM White version as well but it isn't as common. It also seems to have two model numbers, T8025 and T9102 which are the exact same. I could never do such a thing Too rare! I think someone did do that to a DC-3014 though. Awesome keyboard, BTW, are the keycaps made of ABS or PBT ? 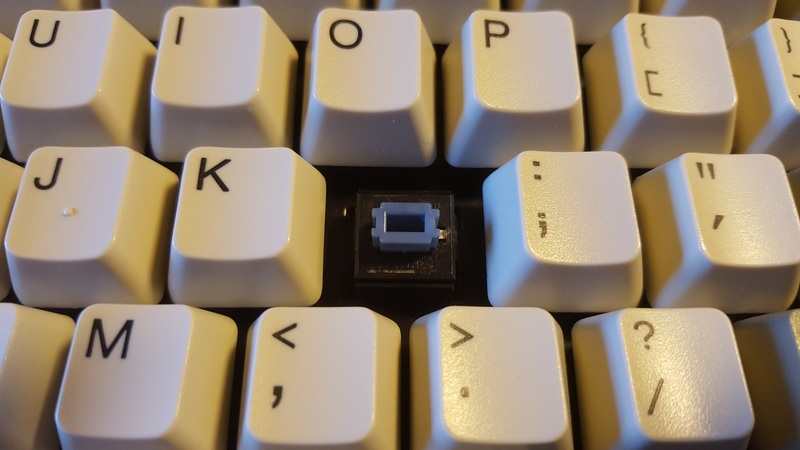 Mr.Nobody wrote: ↑ Awesome keyboard, BTW, are the keycaps made of ABS or PBT ? Thank you, I am done with ABS; ABS turns yellow in time although it can be reversed into shiny white. Another problem is ABS is kindof soft, easy to wear. I love PBT, after watching your review I bought a Space invader RT101 which is on its way. Nice one, yes those are the same ABS doubleshots I recently got off a Toshiba T1200. Well done packard bell your not a total waste of oxygen. A loverly keyboard with amazing switches. One day , one day i will get a board with blue alps. I've just found two packard bell keyboards one with Blue Alps and the other with white Alps, quite new. Are these Packard Bell branded boards NKRO? I don't know of many vintage Alps boards that are. XMIT wrote: ↑ Are these Packard Bell branded boards NKRO? I don't know of many vintage Alps boards that are. I have one of these boards - it's not NKRO. 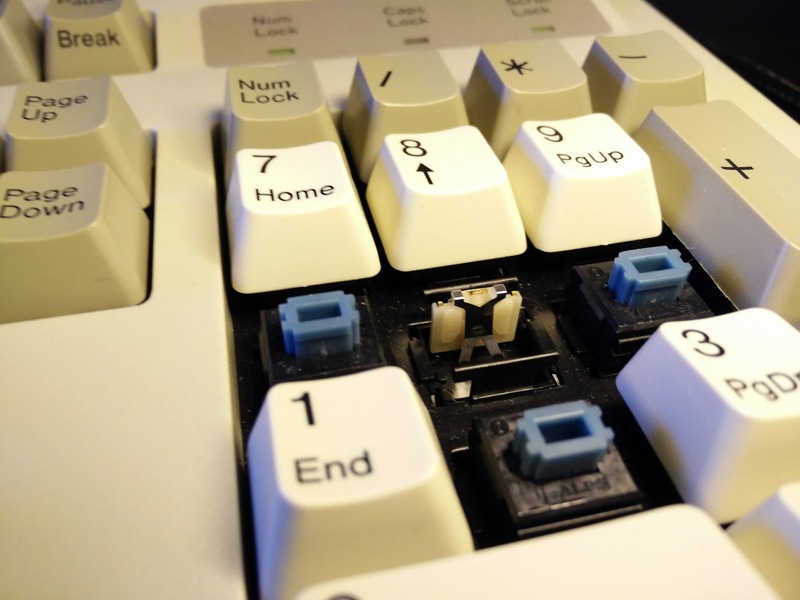 Mr.Nobody wrote: ↑ I've just found two packard bell keyboards one with Blue Alps and the other with white Alps, quite new. Thanks for the pics. Gonna make a wiki page for it. The interesting thing is that the caps are different. They are pad printed, and they have bars not nubs. A cost cutting measure. Probably White Alps. Is the one in the photo posted by me bought by your Proxy? 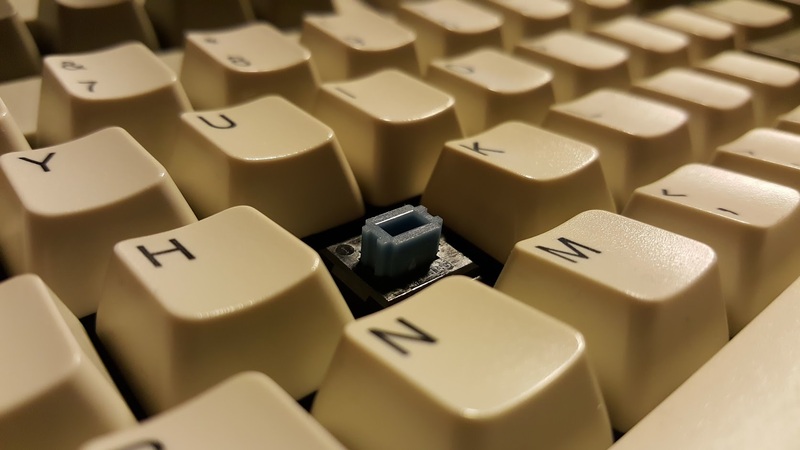 If you are also interested in boards with white Alps, I will let you know when I stumble upon them...If I recall right there are many out there.To me even blue Alps won't interest me... I am a diehard BS guy. Mr.Nobody wrote: ↑ Is the one in the photo posted by me bought by your Proxy? 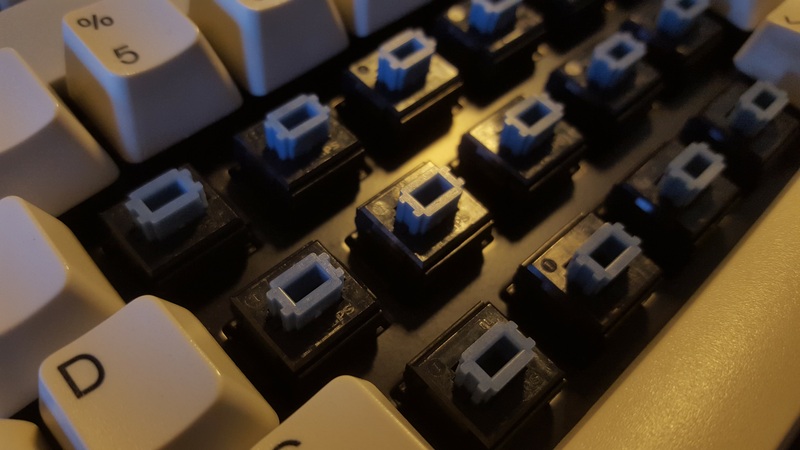 If you are also interested in boards with white Alps, I will let you know when I stumble upon them...If I recall right there are many out there.To me even blue Alps won't interest me... I am a diehard BS guy. No, that one is local to me, here in California. The one I already have I also found local here. Favorite switch: Love 'em all! Nice—but wouldn't that be "SKCM Blue Alps at their finest"? 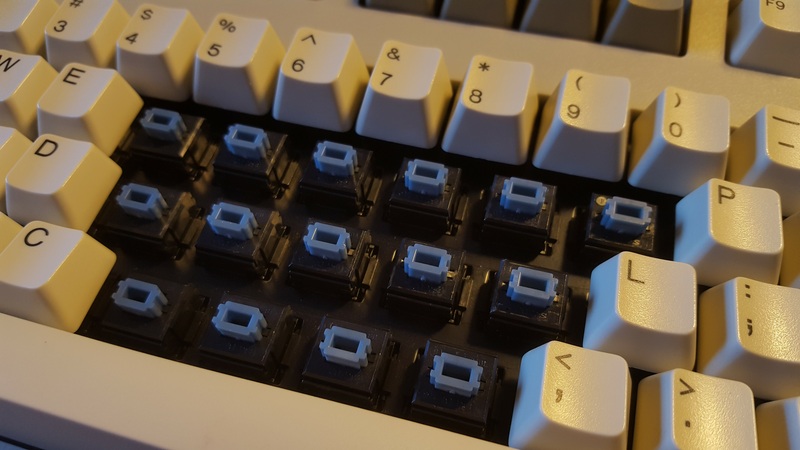 Ander wrote: ↑ Nice—but wouldn't that be "SKCM Blue Alps at their finest"? New here. Just asking about a keyboard I picked up and am cleaning (frikken disgusting). 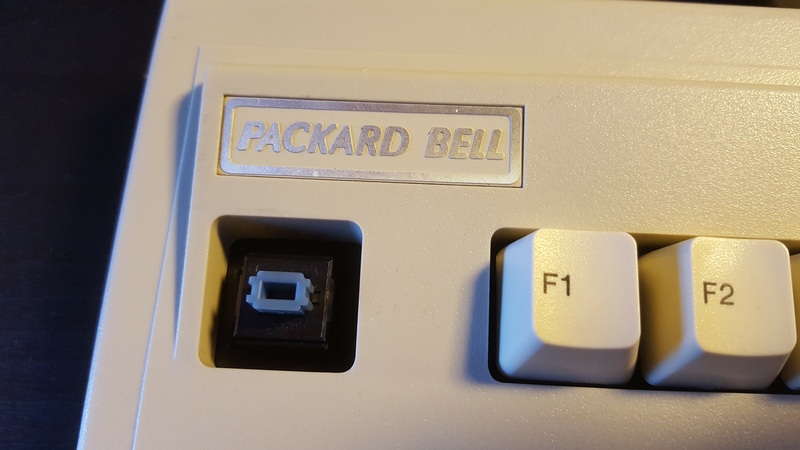 It is apparently a Packard Bell model T9605, looks to have white ALPS switches. Any thoughts? what do you mean thoughts ? Myoth wrote: ↑ what do you mean thoughts ? Well, what was the computer model that went with it? Probable history of it? I know I don't have the computer for it (I have an IBM 5160, a Commodore 64, a Commodore Plus/4, a TI99/4A, and Macintosh Plus). Also, I have an idea of how much it is worth so combined with my lack of need for it, I am going to sell it. 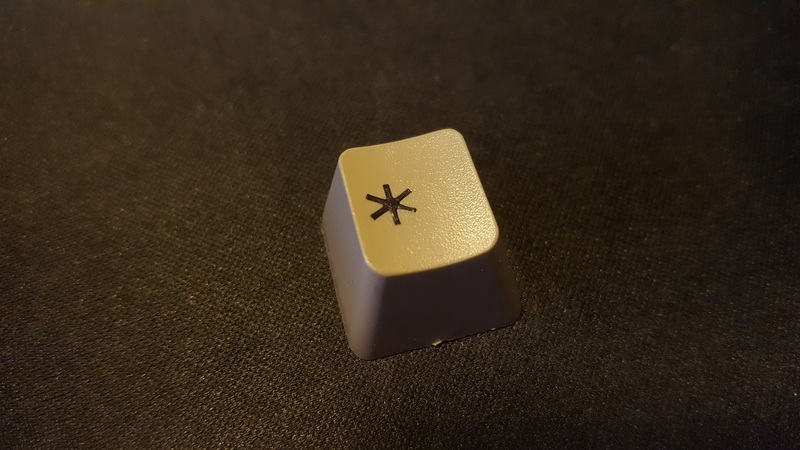 Does it have doubleshot caps like OPs board? If so I am interested! Last edited by PBJFS on 28 Aug 2018, 22:33, edited 1 time in total. Okay, so I reassembled it and tested it. Only about half the keys work (using an old Pentium D, Windows 10). Any directions on how to do a full disassembly to see if there is something I can do to repair it? I need to get access to both sides of circuit board. 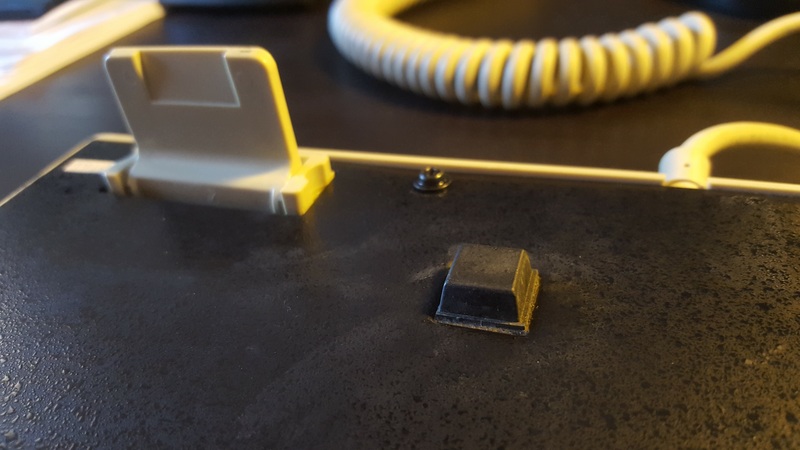 @Mattr567: Do you (or does anyone here) know the pin assignments on the PCB header for the Packard Bell T9102 keyboard? BTW, I think that the "T9102" sticker on the metal back might be a serial number rather than a model number. I have a Packard Bell that looks almost identical to the one labeled T9102, but the sticker on mine appears to read "T8015". The number stamped on the controller is FDA-102/A, which apparently indicates it is a Forward Electronics product. I found another one! A Packard-Bell with SKCM blue Alps switches. This time, the sticker on the metal back reads "T9103". This one has doubleshot ABS keycaps. The one with "T8105" has pad-printed caps. Thus, it indeed appears that the numbers on the little stickers affixed to the back panel are serial numbers rather than model numbers. 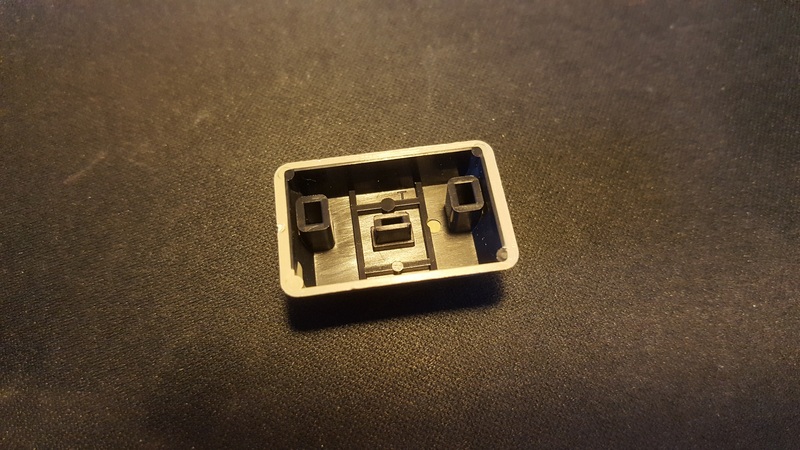 The plate on the T8105 was the cleanest I have ever seen in a used keyboard. The switches all worked, but there was some binding on off-center presses with some of the larger keys. 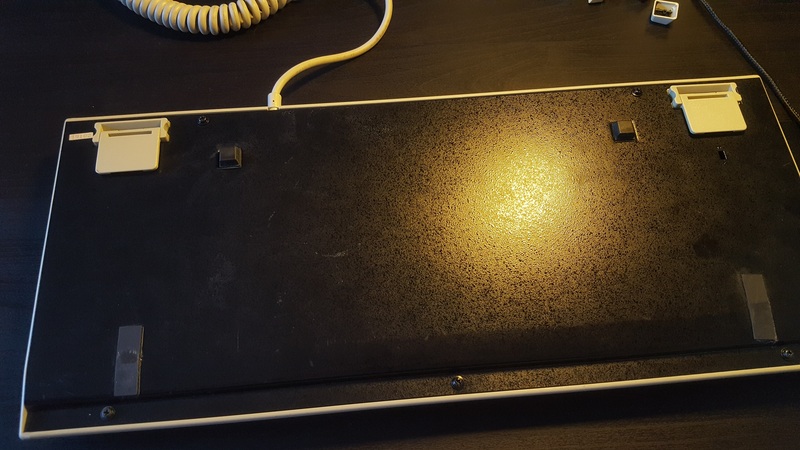 The plate on the T9103 is dirty and the black finish on the back panel is scratched, but all the switches work and there is no appreciable binding. 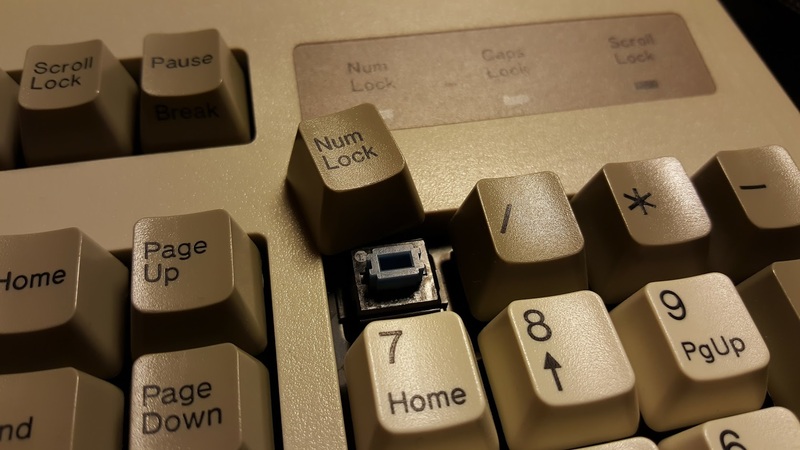 Nevertheless, the switches feel rougher than on other blue Alps boards I have used. Perhaps this feeling arises from the short switch plates -- but I have not opened the switches on either the T9103 or the T8105 to determine if they are long or short switch plates. 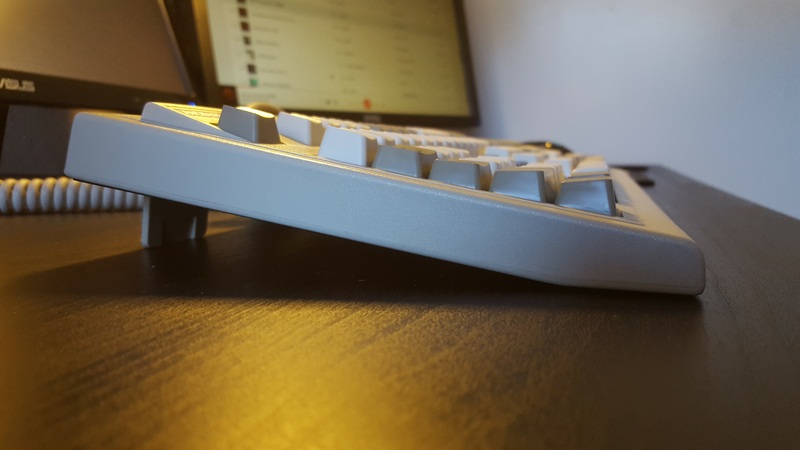 On the other hand, I have been using my RF R2 PFU TKL with silenced 45 g Topre switches for the past several days, and almost any keyboard would feel rough in comparison. Both keyboards are seriously yellowed -- caps and cases. At least the T9103 is evenly yellowed. I might try some variant of retrobrite treatment for the cases along with replacing keycaps. Other alternatives including painting the cases when warm weather arrives. I've also wanted to try cerakote -- presumably this can be done at sufficiently low termperatures to avoid melting the ABS. BTW, I continue to be amazed by the Hasu USB-USB converter. Today, I plugged the T9103 into an Adesso active PS/2-USB converter and then connected it to the Hasu USB-USB converter, which is attached to the computer via a KVM switch and two USB hubs in series. The keyboard worked on the first try with the Hasu converter already programmed with a HHKB-like remapping. 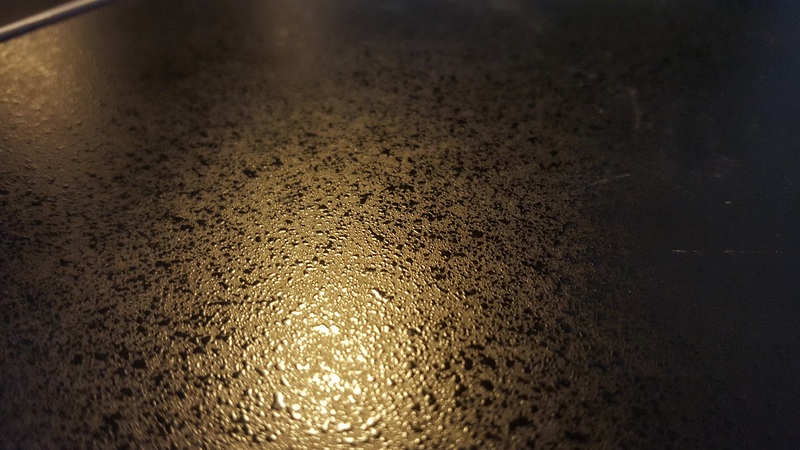 Wouldn't a paint job with a rough texture be better? Feels like the ABS might change shape even at lower temperature. it´s 30 years old after all.